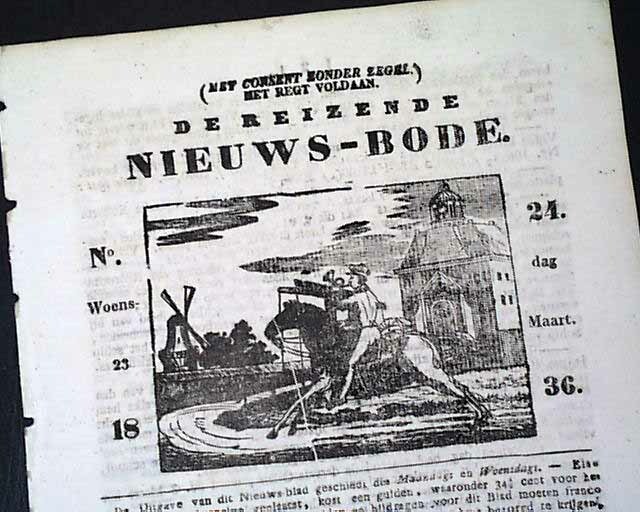 A curious little newspaper in Dutch, perhaps most noted for the comparatively large, nice engraving on the front page of a man on horseback "trumpeting" the news. 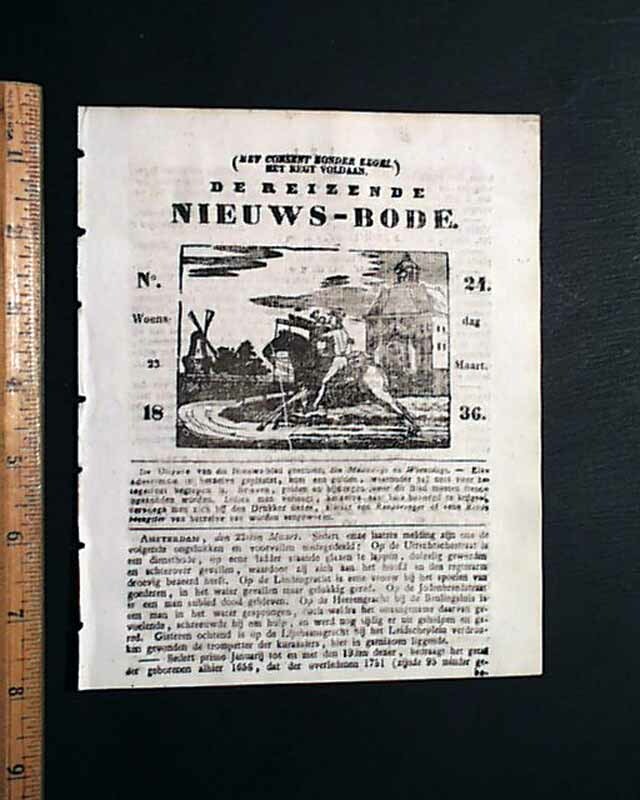 The title translates to "Traveling News boy". 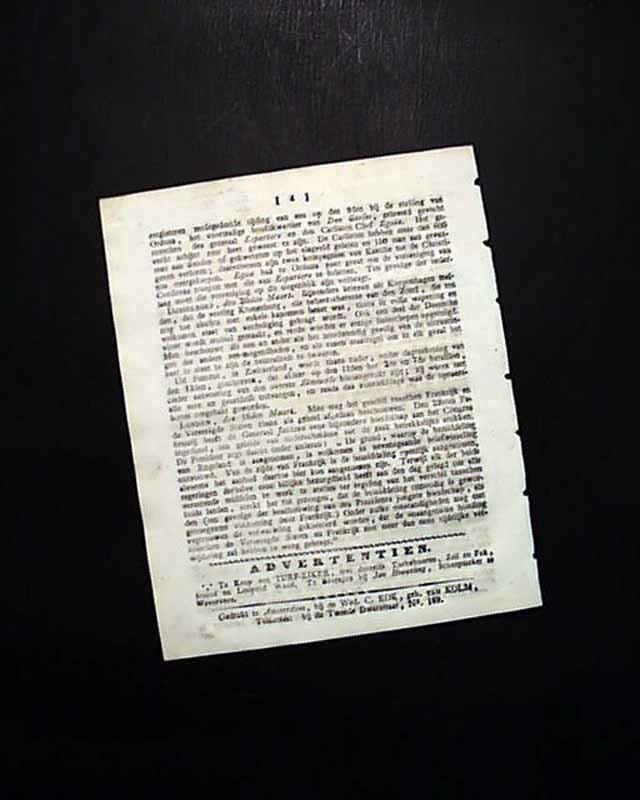 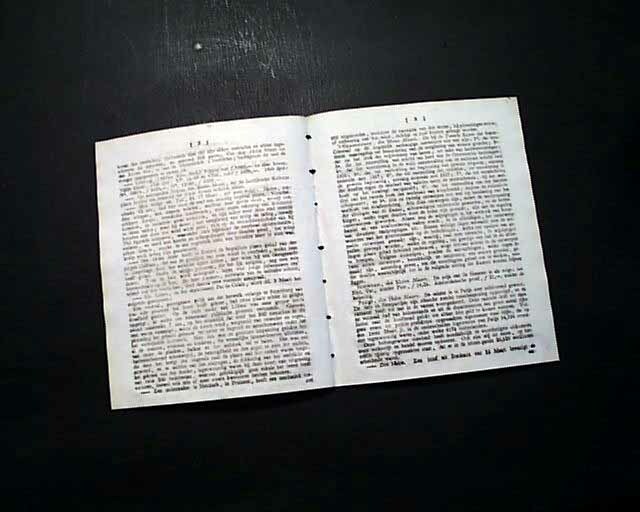 Four pages, 6 by 8 inches, great condition..